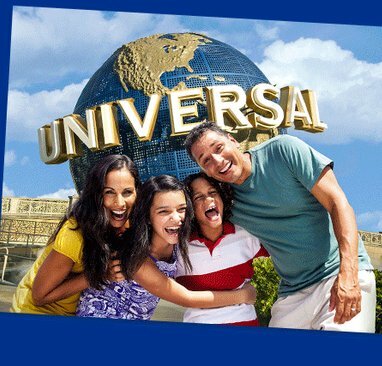 $3,576.19 4-day/3-night trip for 4 to Universal Orlando Resort in Orlando, FL; transportation to/from airport/resort; 3-Park 3-Day Park-to-Park theme park tickets for admission to Universal Studios Florida and Universal's Islands of Adventure theme parks and Universal's Volcano Bay water theme park for 4; and admission to a Blue Man Group show. Single Entry per person/email address per day. 4-day/3-night trip for 4 to Universal Orlando Resort in Orlando, FL; transportation to/from airport/resort; 3-Park 3-Day Park-to-Park theme park tickets for admission to Universal Studios Florida and Universal's Islands of Adventure theme parks and Universal's Volcano Bay water theme park for 4; and admission to a Blue Man Group show.